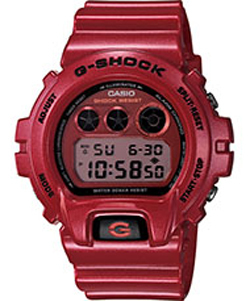 Casio DW6900MF-4.The digital color LCD for mirror. The digital color LCD for mirror. Metallic paint applied with a metallic shine, metallic paint, such as Kon would melt the metal powder to the case band In addition, the dial was set to finish the whole body shine. The base model is adopted as the popular DW-6900MF4 model that is used in a variety of collaborations. It is a tough G-SHOCK cool that shines on the street scene. Bezel Case material: plastic. Resin band. EL: Blue Green. Release date: July 2012. Watch Casio G Shock Standard Digital Edition DW6900MF4 Limited Edition Watch Casio G Shock Standard Digital Edition DW6900MF4DR watches for men. By G Shock line of durable resin features a new suspension G SHOCK 100 100 200 meters water resistant 20 BAR.